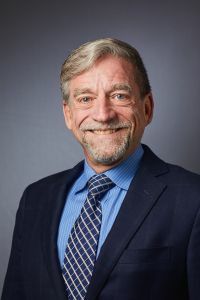 The Translational Research Institute on Pain in Later Life (TRIPLL) of Weill Cornell Medicine in conjunction with the Pain Research and Intervention Center of Excellence (PRICE) of the University of Florida presents the 2019 webinar series “Mechanisms and Management of Later-Life Pain.” This webinar series is a web-based training resource for health professionals, researchers and community practitioners interested in various health and research topics related to later life pain. Please see below for more details and links to register. Overview: A broad array of evidence-based psychological approaches for the management of pain are currently available including mindfulness-based stress reduction, progressive relaxation, biofeedback, hypnosis, operant-behavioral therapy, cognitive-behavioral therapy, acceptance and commitment therapy, couples and family therapy, and supportive psychotherapy, among others. The strength of evidence of efficacy and effectiveness for these approaches varies across specific pain conditions and settings and across outcome domains. Scientific knowledge and practice gaps, particularly organizational, provider and patient barriers to accessing psychological therapies for pain, will be highlighted.